Basil. The official herb of summer. And while I am discussing ingredients, if any of you out there live near Secaucus, New Jersey, I have to give a shout-out to Vito’s Bakery, where they make The Best Mozzarella In The Entire World. 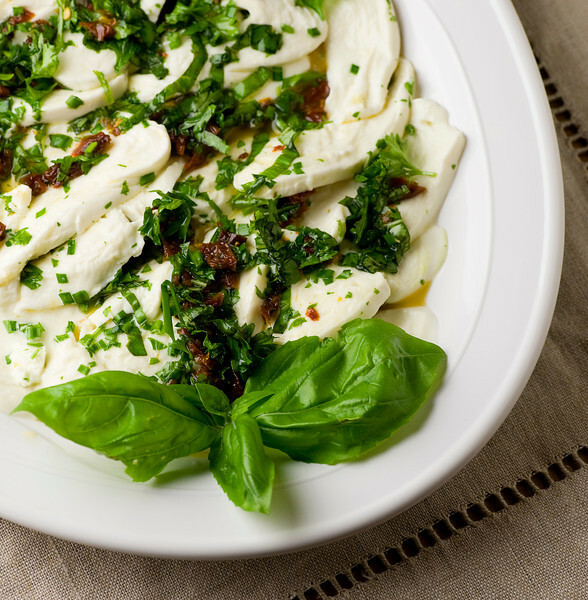 Creamy, dreamy, perfect, melt in your mouth mozzarella. Save some for me. Back in my mom’s kitchen, she lets the cheese sit in this glorious marinade for about two hours, and just about the time that folks are getting hungry, she brings it out with a basket full of soft sliced Italian bread, which is perfect for slathering on not only the cheese but also mopping up that crazily good marinade. Because when it comes to this particular recipe, it is impossible to leave one single morsel behind. Right, all my friends who have ever been to my mom’s house on a marinated mozzarella day? Arrange overlapping slices of cheese in a shallow serving dish. Stir oil, herbs and tomatoes together and drizzle over cheese. Cover cheese with plastic wrap and let it marinate at room temperature for 2 hours. 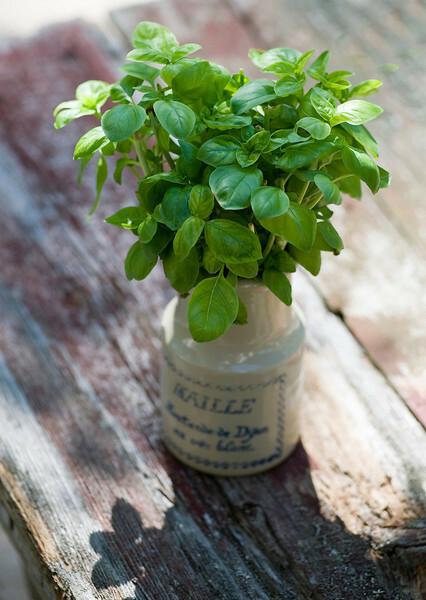 Garnish with basil leaves and serve with sliced Italian bread. Delicious!!! Mozzarella and I go way back…Love it!!! Ahhh, summer in NY and I am back to enjoy the amazing tomatoes from the farms around us and fresh mozzarella that is sold in all the markets. One of the many reasons I am happy you are back in the good old USA! I’m your brother and I approve this recipe. The sundried tomatoes — should they be the dried kind in a bag or the kind already in oil? You can use either, but we like the kind in oil best. If you use the dried kind, make sure you soak them in a little hot water first to soften them up. Happy mozzarella! Thanks Kate. Never thought of doing this with sun-dried. I have all ingredients already in my pantry or growing! Perfect for tomorrow night! Hope you loved it as much as we do! Made this on Friday with my neighbour’s donated olive oil from her Italian home. Delicious. A perfect end of the week treat! Have you been peeking in my fridge? ;) This is what’s on my dinner menu today. With a plate of that and some good, crusty bread, who needs anything else?